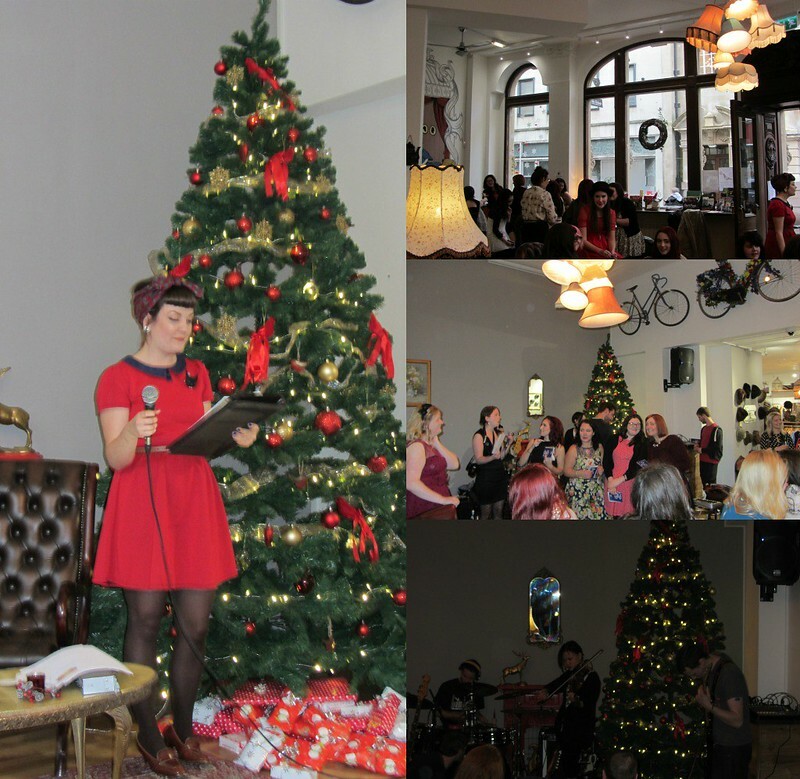 On Sunday I attended the South West Bloggers Christmas Party at The Birdcage in Bristol. Not only was it a great opportunity to hang out with some of my favourite bloggers we also got to raise some money for Macmillan Cancer Support. My dress is from Topshop and I'm wearing my Daniel Wellington watch, Daisy Street boots and my nans ring. There was so much to look at in the venue, it was such a pleasant place to hang out in. Lovely open space with great murals on the wall, some pretty light features and comfy sofas. Will definitely be heading here for more chocolate cake on my next visit to Bristol. The lovely Lyzi read out some of the quiz questions, I was pretty rubbish at the quiz. I had no idea that ANTM has over 20+ different versions. We all got to take home a little parcel from underneath the Christmas tree, mine contained some lovely hair products. Maria and Sarah's team won the quiz and collected their prizes which contained some Crown and Glory vouchers, lucky ladies! We were also treated to two great sets from local bands Jilk and Baskerville. I ♥ Claire, I mean that. I was so excited to see Claire, I had a big smile on my face all day. I think Claire, Maria, Sarah, Rosie, Rai and all the other ladies should come and hang out with me in Wales every weekend. 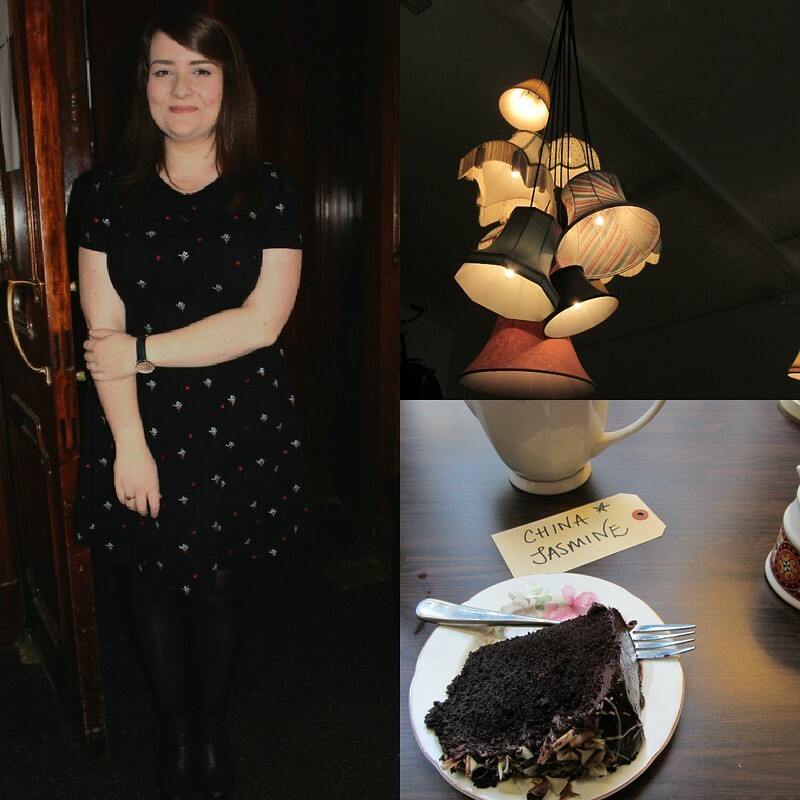 It was my final blogging event of the year and the pefect way to round it all up. I've really made some lovely friends through blogging and if you're reading this and have never been to a meet up before I urge you to take the plunge. For those in the South West head to the facebook page South West Bloggers and get to know some bloggers in your area. W're all a friendly bunch, I promise. All that's left to say is a big thank you to Lyzi, Bee, Gina and Hayley that put the event together. It really was wonderful. aww look's like you had a lovely day! Don't worry I'm rubbish at quizzes to! It looks like you all had a fab time together, I love seeing everyone's photos from it! 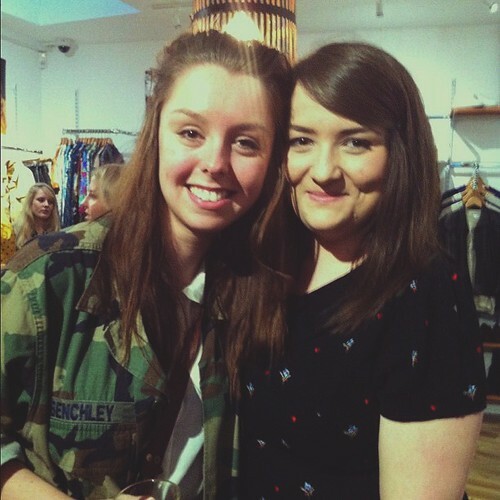 Was lovely to meet you again and such a fun party. Hoping there will be another one soon.